Rapidly captures accurate as-built information in rich detail delivering detailed measurement and documentation of 3D data with high accuracy. Offset uses the very latest laser scanners capable of capturing one million point per second combined with high resolution camera panoramic images to deliver coloured point cloud data. High resolution digital image capture is the foundation of a Photogrammetry survey. This highly accurate and adaptable data can be utilised in many ways, from unparalleled documentation of the as-built status of a facility – to 3D visualisation. 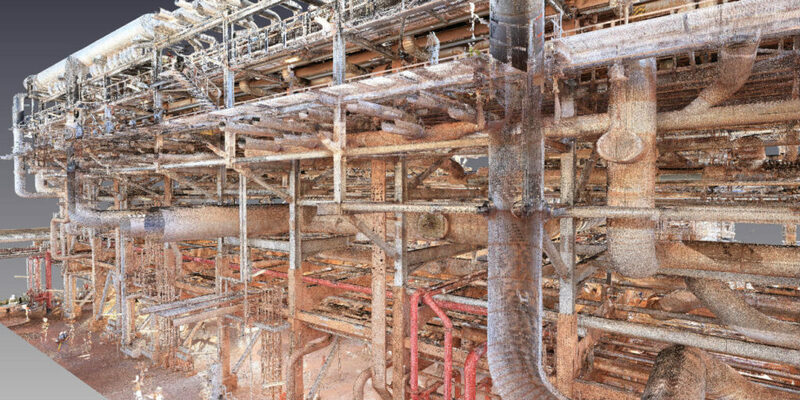 Benefits include usage in congested or restricted access areas and the seamless combination of laser scan data. Accurate as-built information is vital to the success of any revamp project. Our as-built models are built from any data source including laser scan data, photogrammetric survey, line lists and P&ID drawings. 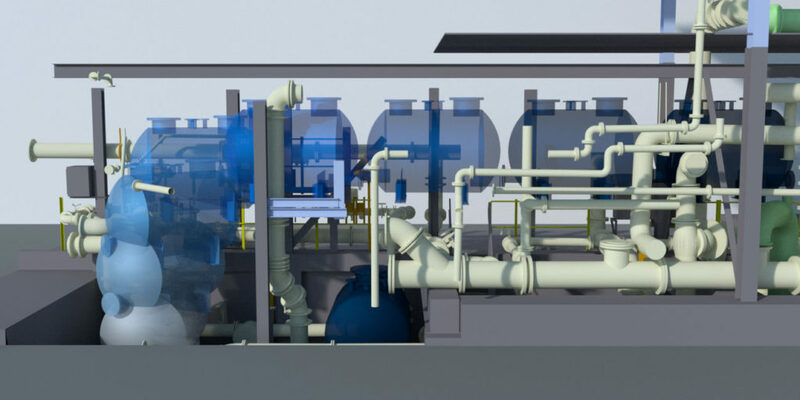 The as-built model is transferrable into CAD systems including E3D, PDMS, SmartPlant 3D, Microstation and AutoCAD. An Offset proprietary technology that allows a fully intelligent high definition Google Street View type navigation around any size asset within a lightweight browser based viewing environment. Hotlinks to Information Management system like AVEVA NET or SmartPlant Foundation allow engineers access to all the information they need without visiting the asset.